CASHKARO MEGA GIVEAWAY CONTEST!! It is time to enroll and earn fabulous rewards! 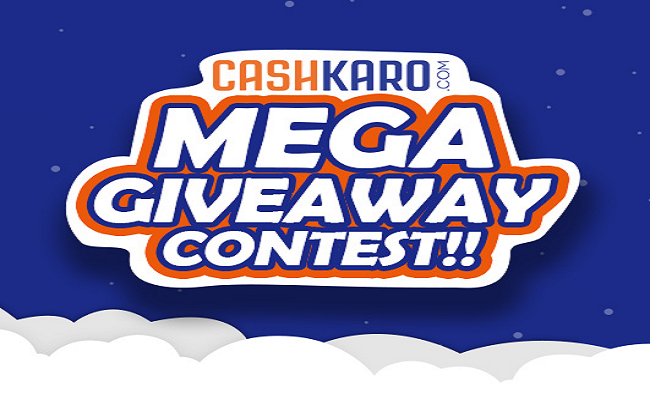 CashKaro is here with the CashKaro Mega Giveaway Contest. Participate and WIN Amazon Gift Vouchers worth ₹100! We swear we are not kidding! Step 2: Watch the entire video below to know about the Mega Giveaway Contest and learn about the Terms & Conditions. Step 3: Answer two simple questions asked in the video by posting your answers in the comments section. Do watch the entire video to know the questions and don’t forget to add #CashKaroMegaGiveaway with your answer. This contest will run for 15 days. So, you have just 15 days to emerge as a winner. Share the video as much as you can so that even your friends can be winners. Add the hashtag #CashKaroMegaGiveaway to your answers to be eligible for the contest. 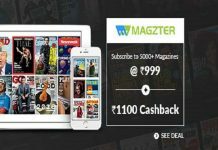 CashKaro.com is the largest cashback & coupons site in India. With over 1500 e-commerce sites and 2 million registered users on its platform, CashKaro has become the easiest saving destination for shoppers. 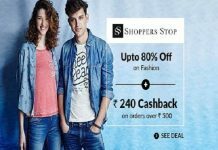 CashKaro offers lucrative deals and discounts on top retailers such as Amazon, Flipkart, Myntra and more, and has credited over Rs.45 crores as cashback to its users. When you shop at the retailer via CashKaro, the retailer pays us commission for the sale. We share most of this commission back with you as Cashback. With CashKaro, you always get more! Want to save big on your shopping? Simply log on to CashKaro using your Facebook or Email Id. Visit your favorite store via CashKaro and select the Cashback deal you like. You will be then redirected to the retailer’s site. Shop normally and see your cashback reflect in your CashKaro account after you make the payment. What’s more? You can redeem the cashback in your bank account. You can also redeem it as Amazon/Flipkart Gift cards once you have Rs. 250 and above cashback amount in your CashKaro account. Yes, it is that easy with CashKaro! Christmas is around the corner, and guess what! You can get upto 5.5% rewards when you shop on Amazon via CashKaro. Buy decorations this Christmas season and get upto 40% Off + upto 5.5% CashKaro Rewards. Here’s a chance for you to win. Subscribe to our channel, watch the video and drop your answers in the comments section! 2) CashKaro is the largest cashback & coupons site in India. 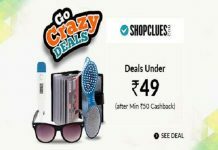 CashKaro offers lucrative deals and discounts on top retailers such as Amazon, Flipkart, Myntra and more.